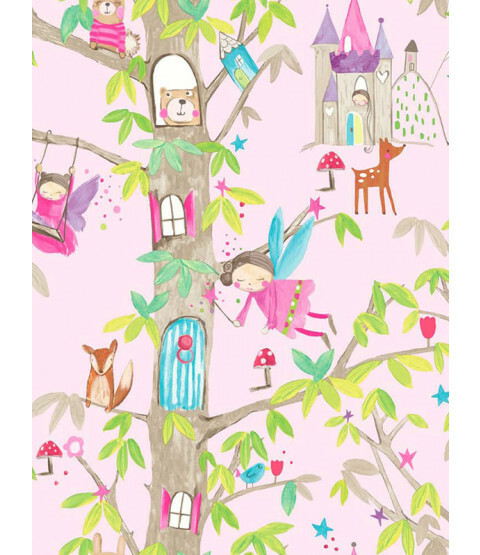 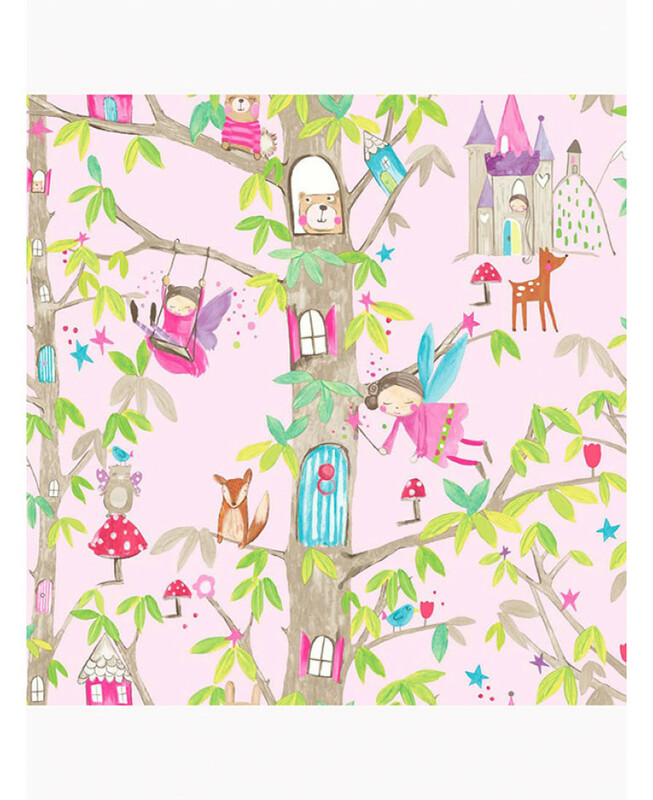 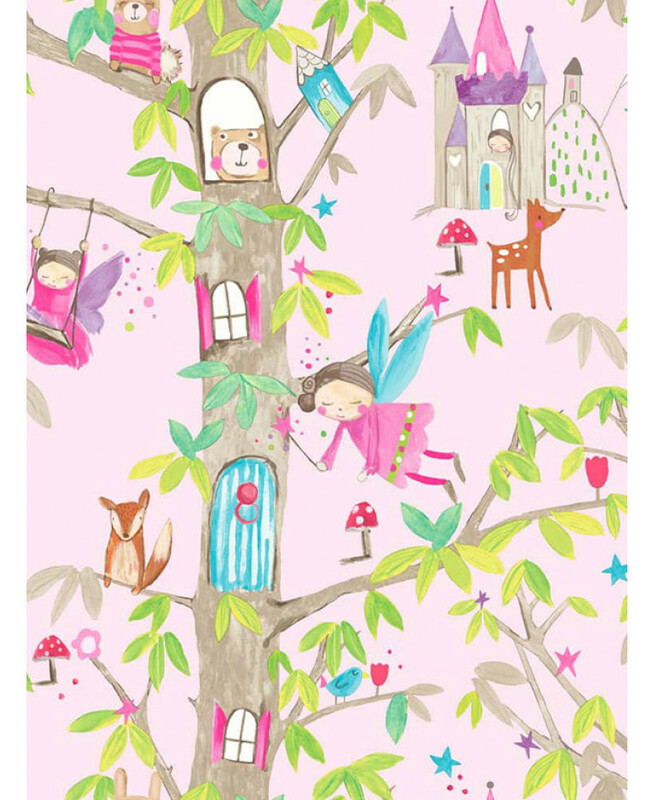 This enchanting woodland themed wallpaper features fairies and woodland animals including foxes, rabbits and bears. 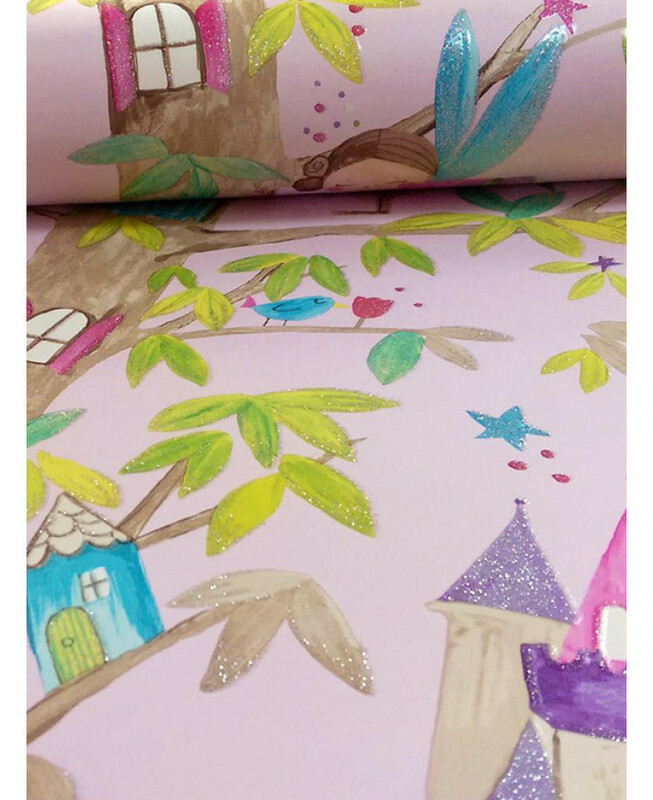 For added magic, the forest andits creatures are tipped in glitter to give that beautiful shimmer and shine to your room. 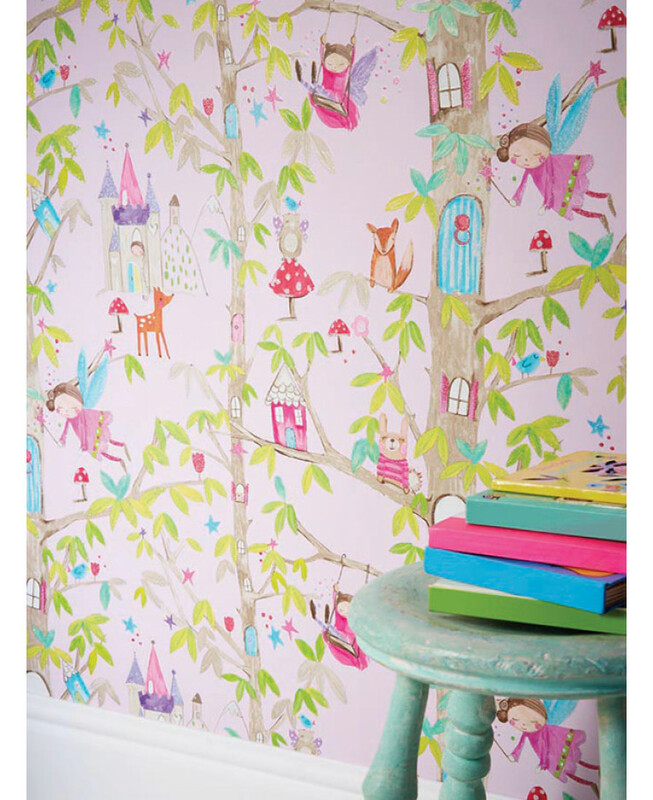 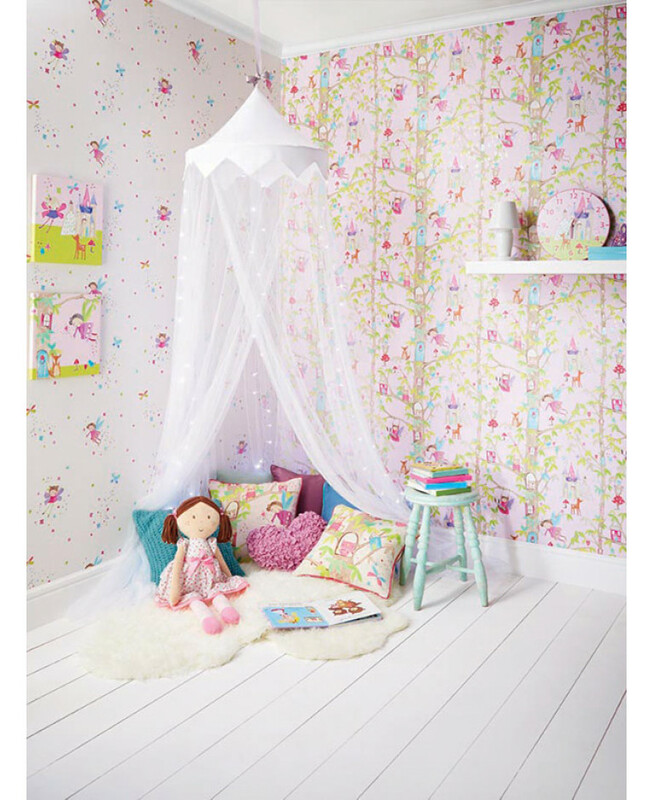 This wallpaper co-ordinates beautifully with the Fairy Dust wallpaper also available to purchase from our website (Product Code ART025).